Mother duck and her 9 ducklings swimming in the back channel of a salt marsh. Three Canada Goose Goslings napping in the warm afternoon sun. 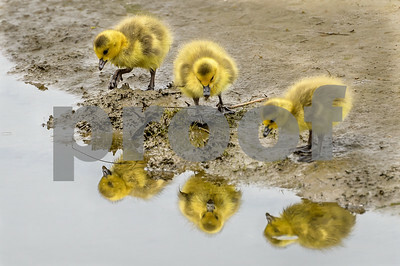 Three Canada Goose goslings (Branta canadensis) appear to be looking at their reflections in the water but are really about to get a drink of water. The mother goose is just a few feet away and closely watching them. 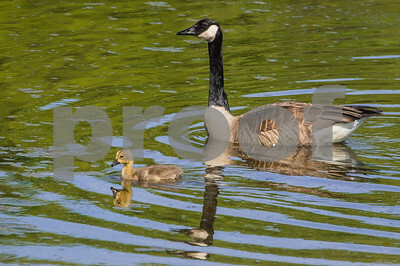 Canada Goose mother appears to be giving some motherly advise to her gosling. 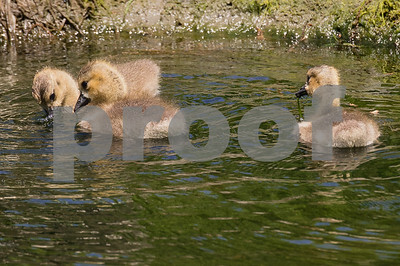 Three weeks ago, I posted an image of these three Canada Geese goslings (Branta canadensis). They've lost most of their yellow color and are much larger. 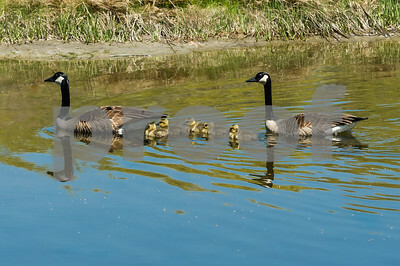 The mother goose is standing directly above on a mudflat and is watching them very closely. 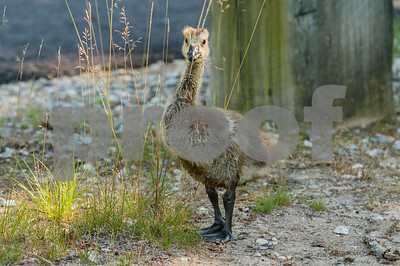 This Canada Goose gosling along with its family walked out of the safety of the salt marsh to explore new territory. A road is directly behind the gosling and fortunately all cars stopped to let them cross back and forth. All made it safely back to the salt marsh. A gosling and adult Canada Goose swim along a mudflat in a salt marsh. The other adult goose and goslings are standing on the mudflat watching.